Have you ever dream of driving a Monster Truck? If you are crazy monster truck lover then welcome to the extreme monster truck driving and stunts game. Get behind the wheels of these massive vehicles, and perform gut wrenching stunts! US Monster Truck Driving: Impossible Truck Stunts game brings for you stunt drive and impossible tracks. 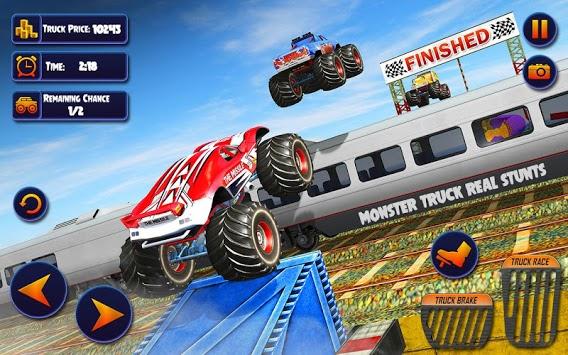 Drive crazy monster truck on extreme stunt tracks and complete all challenging tasks. 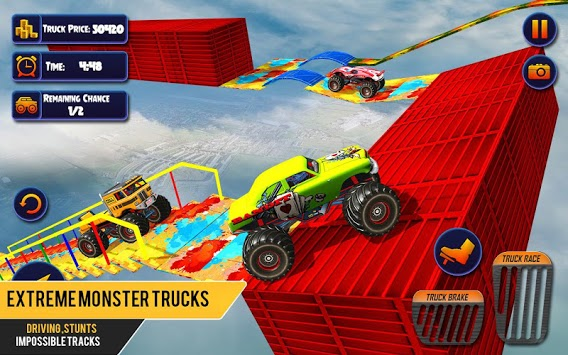 Improve your monster truck driving skills by drive derby monster truck on impossible tracks and do stunts.Complete all your check points by driving extreme monster truck on derby racing tracks. Accept all these challenging monster derby racing missions and show your extreme driving skills. Jump over thrilling obstacles and speed through terrifying challenging loops! Amazing challenging missions and lots of adventures tracks. Multiple monster truck for driving on stunt tracks. 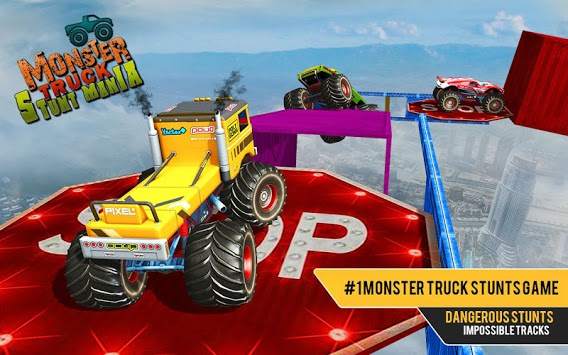 US Monster Truck Driving: Impossible Truck Stunts game is full of real thrill rally driving.In this game you can drive real 4x4 luxury vehicles. Are you ready for rally truck driving? Buckle up in the hot seat and get hold of a big monster truck steering, be in time and don't underestimate the power of 4x4 trucks. Start most powerful engine exhaust, intake, suspension and transmission to keep up with the competition. Check your truck driving skills by drive 4x4 trucks on extreme deadliest tracks. Survive and drive speedy monster truck and speeding over the ramps. Be a monster trucker your job is clear all the check points and win this race.